Bleszinski’s statement on Twitter says “Four years ago I set out to make a world class video game studio and I hired some of the best talent in the videogame industry. They worked tirelessly to produce quality products and, while we had our ups and downs, I’d like to think we had fun doing it. Of the studio’s two games, LawBreakers released to generally positive reviews last year, but despite continued updates failed to keep a high enough player count to remain sustainable. Radical Heights seemed a bit cynical when it launched just over a month ago, but despite aping the style of bigger games and launching in self-described “X-TREME Early Access” it was still a solid take on the battle royale formula, and managed to attract more players than LawBreakers at launch – though it being free-to-play certainly didn’t hurt. 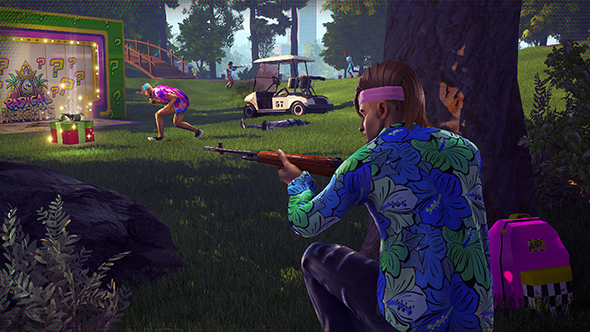 “To those of you who have support myself and the studio these last for [sic] years,” Bleszinski says, “THANK YOU from the bottom of my heart and everyone who came to work for me.” Servers for Radical Heights will remain up in the near future.